Any illusions I might have had about going low carb during my recent trip to Italy were quickly quashed the moment I landed in the country. There were simply too many temptations on offer – and to even think I thought I would be able to resist! So if you’re going to give in, then give in all the way I say. Pizza, pasta, gelato, cannoli – you name it! So here is my first calorific blog post on Naples… Delizioso! Naples isn’t the prettiest city in the world but it is certainty a city of contrasts, from the worldly cosmopolitan air of the Santa Lucia area to the grimy parts around Stazione Centrale, its striking just how diverse this city is. Also nearby are the ruins of Pompeii, which were breath taking in their splendour. But sites aside, one really comes to Naples for the pizza. 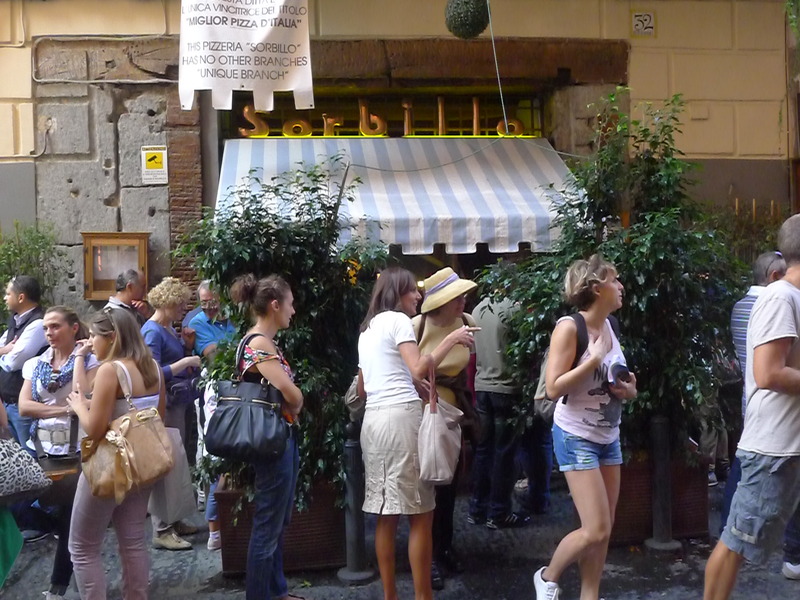 One of the most famous Neapolitan pizzerias is Antica Pizzeria Sorbillo. Founded in 1935, some say this is the true home of pizza in Naples. In a city that is so famed for this simple dish of dough with topping, this is really saying a lot. The queues attest to its popularity. It may have been mid-afternoon when I went, but I was still required to wait 50 minutes for a table. 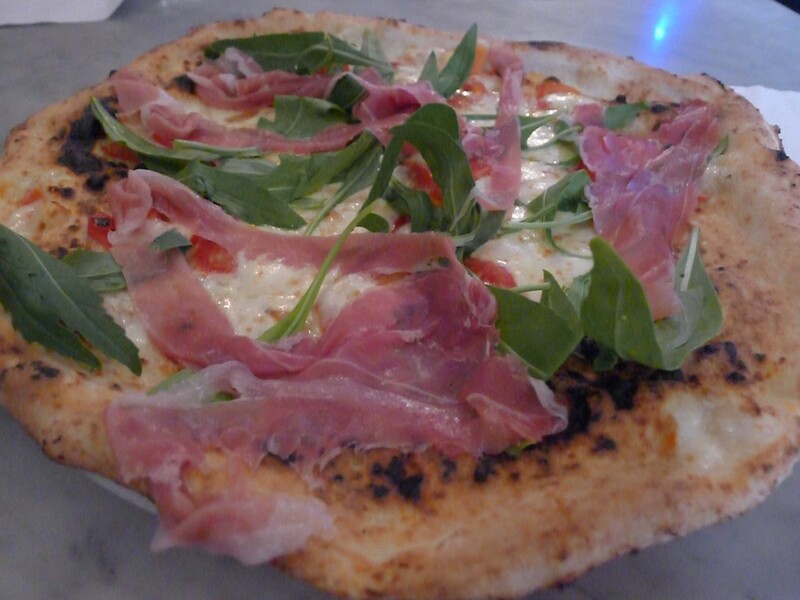 I had the ‘raimondo’ with tomatoes, provolone cheese, rocket and Parma ham. The ingredients were fresh and the ham was meaty. But its magic probably lay in its super thin base that was springy and soft in the middle, and crispy around the edges. And best of all, Sorbillo’s pizzas were generously sized and dirt-cheap. The raimondo cost €6.50, but pizza prices range between €3 and €6.70. Unbelievable. 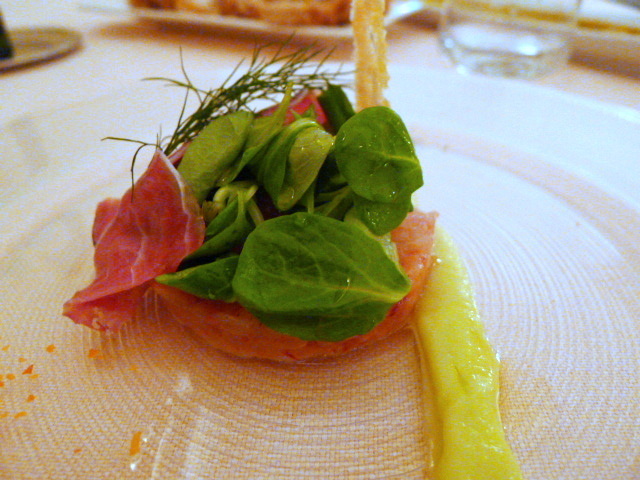 For a spot of Michelin dining I went to Palazzo Petrucci. Alongside the a la carte menu there is also a five-course tasting priced at €55 which you can choose for yourself from the options in the a la carte. The menu has a heavy emphasis on raw seafood, and as part of my tasting I went for the starter of chopped lobster and prawn tartare (a la carte price – €22) with ham of lamb and a fennel and lemon sauce. Pleasant tasting and fresh, the dish needed a touch more acidity. The chickpea soup with prawns and coffee (€14) was interesting in its concept but failed to work with its raw prawn element. 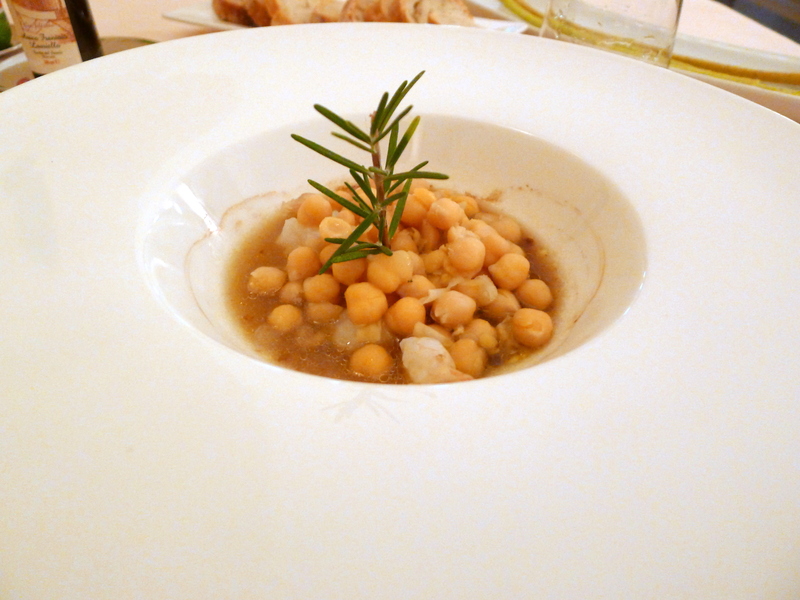 There was not enough broth and far too many chickpeas. The dish lacked cohesion. 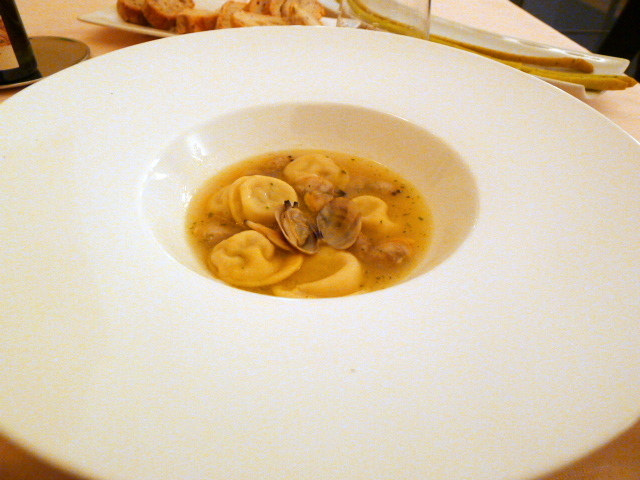 Better was the ravioli stuffed with pork (€18). It was lovely, if a little salty from the Genovese clams and percorino. 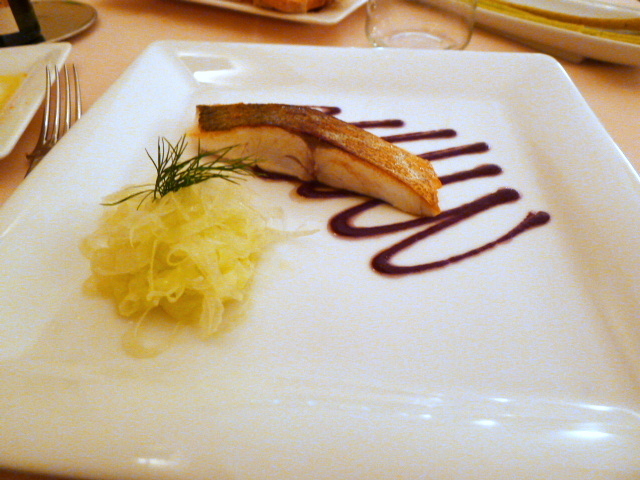 Also enjoyable was the grilled amberjack fish of the day (€24) which had been beautifully cooked and which came with a black olive sauce and a fennel salad. Fresh, simple and tasty. 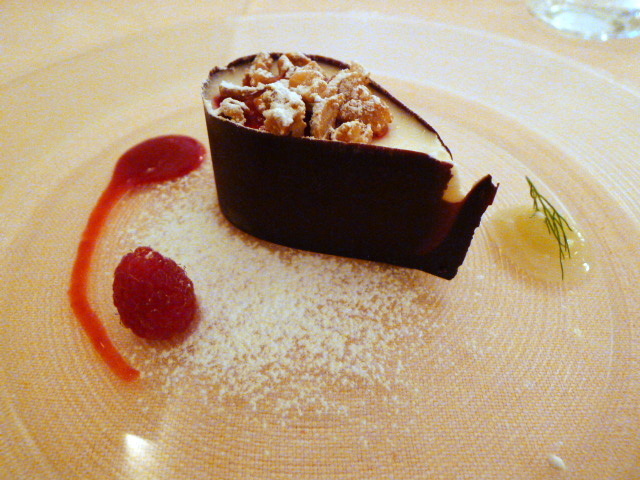 A dessert of white chocolate mousse (€12) oozed lightness and creaminess. It worked wonderfully with some caramelised peanuts and raspberry sauce. The menu was part gutsy, part simple and part odd. There were occasional touches of spark running through the meal, but on the whole it didn’t ring true with enough sophistication to be worthy of a one-star Michelin label. I liked it enough and the prices weren’t outrageous. But the simpler dishes seemed to have been the better choices and that isn’t necessarily what you might go to a Michelin restaurant for. Service was decent. Price range: About €55 for the tasting menu. About €60 for three courses from the al carte menu per head. Excludes drinks and service.